How to determine why a transaction declined. How do I figure out why a transaction declined? 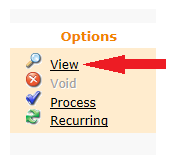 All transactions processed in the Virtual Terminal return either an approval/authorization code or a decline code. To find a decline code, please follow the steps below. In most cases, you can reference the code against the decline code list found in this knowledgebase to determine a cause of the decline; however, some decline codes are intrinsically and/or intentionally vague.